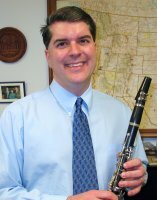 Dr. Dean was previously Associate Professor of Clarinet and Saxophone (tenured) at Southeast Missouri State University for 11 years. In 2012, due to family concerns, he resigned his secure position at Southeast Missouri State University and returned home to his native Texas as a clarinet performer, teacher and clinician based in the Dallas-Fort Worth area. An active clinician, he has given more than 300 clinics, master classes, and performances at high schools, colleges, universities, conservatories, conferences, etc. 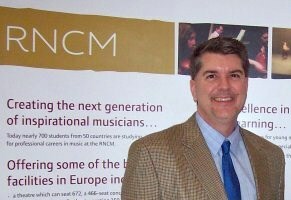 He is a past president and former officer on the National Board of the National Association of College Wind and Percussion Instructors (NACWPI). He was Co-Director of the NACWPI/CMS 2012 National Conference (San Diego, CA), NACWPI 2011 National Conference (University of Florida) and the NACWPI/MENC 2010 National Conference (Washington, D.C.). At Southeast Missouri State University, he founded and directed the Southeast Missouri Single Reed Day annual festival for 10 years.